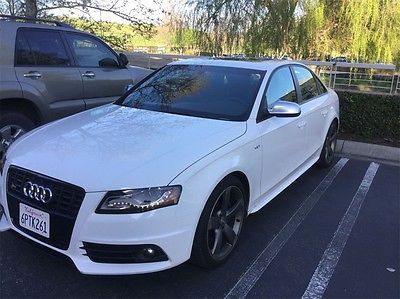 This Audi S6 is unique and looks brand new. I leased it new, placed in service July of 2015. 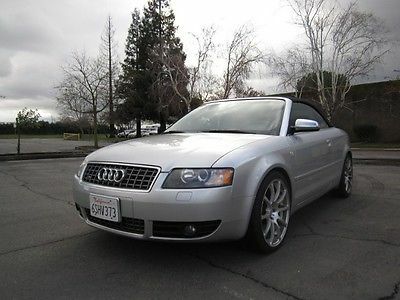 So there is 1.5 years or 10k miles left of factory warranty and Audi Service left. 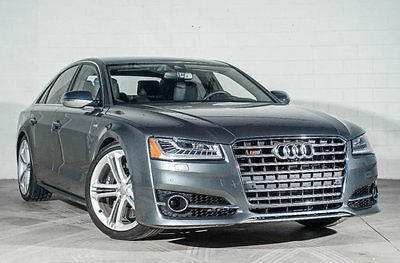 Twin turbo V8. 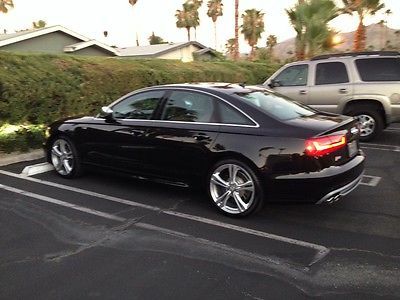 It has new Michelin tires with 500 tread rating recently put on by Audi in Escondido. 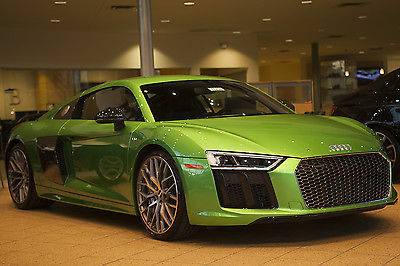 As you can see from the Sticker, the car was highly optioned with rare Audi Exclusive interior which is just beautiful. Good luck finding another one. The color is Havana Black Metallic and Havana Brown with Deviating black stitching. Bang & Olufsen $5900 option alone sounds amazing. 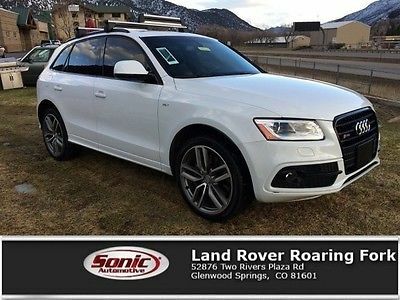 Adaptive Cruise and Lane departure, Cold weather package, heated and ventilated seats, heated steering wheel and more. The car will actually keep you in the lane, Comfort seats with massaging functions. 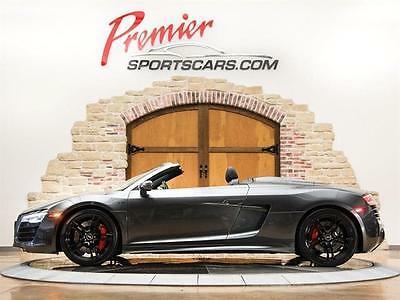 This car is a rare must see with a huge discount from new MSRP was 96K. Also, has cylinder deactivation (switches to 6 cylinders) which is why it greats 27 plus mpg on the highway. The only reason I am selling this car, is I have switched something even more exotic. But I do not need to sell. If your serious, let me know. 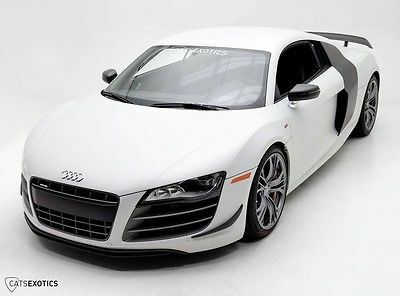 The price is the Payoff with Audi in the amount of $53,600.00. My lease ends in July, so this the price! Firm. Relist from www.ebay.com/itm/252017373178 (Bidder error - comments towards the bottom of that listing along with a more lengthy vehicle description you may choose to read). Facts:California car transported to Montreal, Canada.Only five light-use winters for short trips by a mature owner.Fresh top-end rebuild throughout last winter including: 034Motorsport cylinder head, 034Motorsport injectors, timing belt, idler pulley, water pump, radiator, thermostat, plugs, wires, cap, rotor, air filter and silicone crankcase breather.Note : Air conditioning is all there but it doesn't work.There's a 'soft' dent in the back: just below the license plate / just above the bumper.There's some pitting on the right-rear side window. (Someone grinding something close and the grinding sparks made some pits). Not really noticeable.The clear coat (paint) was resprayed in California. It is starting to chip off in some places.Dented driver's side rocker panel. The metal is still solid as new but it would likely take a pro to pull it back.The Speedometer and odometer have quit as of the time of this writing. Discrepancy to date could not be more than a couple of hundred miles as an absolute maximum.The mileage computer LED display seems to have quit along with the LED clock.Driver's side overhead grab handle is broken.The plastic timing belt cover is cracked and chipped - though still functional and in place.Brake discs and pads...they work but I would replace them.Any rust that's underneath the car is minimal and limited to surface.There's some scratches and nicks here and there.Wheels are the original Speedlines (could use a polish), tires are Pirelli Winter Carving Edge with lots of tread.Stitching on passenger's seat cushion to cushion side has opened up a bit (on the console side).It's not perfect but it's a really nice solid car with unlimited potential.If you have a question or would like additional pictures or information, please write. Any questions you ask will be answered privately unless very general in nature. .Do your homework and consider cost and time regarding importing to your country / jurisdiction please. I will not be responsible if you do not. 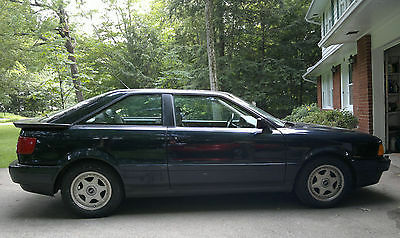 Audi 3148 is sold as is, as seen without warranty. No claims, no returns. A US$250 non-refundable deposit is required within 24 hours thru PayPal. Balance to be paid by cash or certified check. Shipping is not included but I will assist with loading. Nothing moves until paid and cleared in full, and payment is expected within 7 days. That's just a number which may certainly be adjusted if discussed prior. 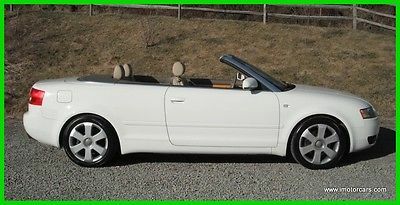 2006 Audi A4 3.0 A4 V6 Quattro Cabriolet Nav, Xenons, Leather Htd Seats Service History 40 Pics! 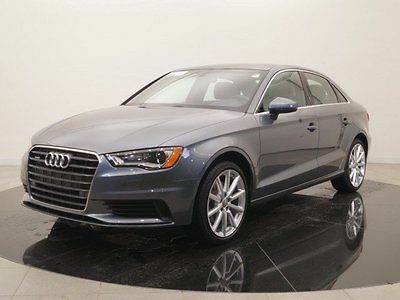 2016 Audi A3 2.0 TFSI Premium Plus quattro 2016 Audi A3, Gray with 5188 Miles available now! 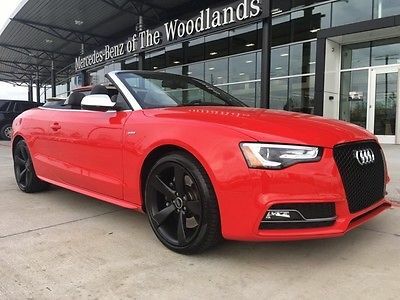 2015 Audi S5 3.0T Premium Plus Audi S5 with 12,715 Miles available now!